Independent carrier Germania has opened its new base in Nuremberg. The airline is permanently stationing an Airbus A319 at the airport, its thirteenth base, offering flights to Fuerteventura, Gran Canaria, Lanzarote, Tenerife and Madeira during the 2016/17 winter season. It will be joined by a Boeing 737 ahead of the summer season, enabling the carrier to expand its offering with flights to Palma, Faro, Ibiza, Reykjavik/Keflavik, Samos, Rhodes, Paphos and Dalaman. In the second half of the year, Germania will begin flights between Nuremberg and Tel Aviv. Elsewhere in Germany, the carrier is adding an Airbus A321 to its fleet at Münster Osnabrück and a 737 at Erfurt-Weimar. Qantas has unveiled a new livery as part of a brand overhaul ahead of the arrival of its first Boeing 787-9 Dreamliners next year. While the airline’s classic red and white colour scheme remains unchanged, the tweaked livery features a streamlined kangaroo on the tail, a silver band on the rear fuselage and a slimmer font for the Qantas titles. 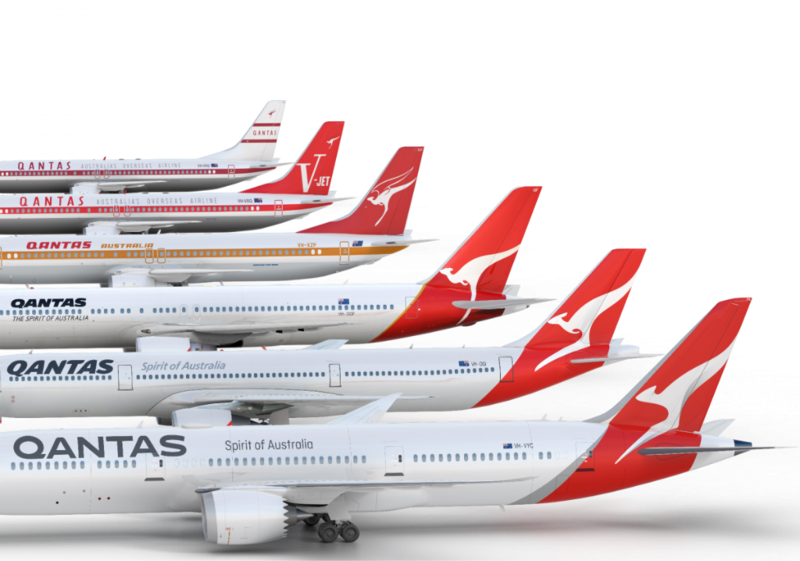 Other changes include the addition of Qantas titles on the belly of the aircraft, and the inclusion of the kangaroo on the inside of the wingtips, making it visible to passengers. The airline’s ‘winged kangaroo’, which featured on the tails of the airline’s jets between the 1960s and 1980s, returns under the cockpit window where it will be integrated with the aircraft’s name. The livery change is only the fifth time Qantas has altered its tail design since it was first introduced in 1944. The last update came in 2007 as the airline introduced its Airbus A380s. Qantas Group CEO, Alan Joyce, revealed the new design to around 1,000 employees and guests at a special event in one of the airline’s hangars in Sydney on October 27. Joyce, also unveiled the new Business Suites and Economy seats that are set to feature on the airline’s new 787 fleet. Airbus A330-303 VH-QPJ (c/n 712) is the first aircraft to wear the new livery, which will gradually be rolled out across the Qantas network as and when the aircraft reach scheduled re-paints. The airline still has some jets wearing the pre-2007 livery. Qantas plans to have the entire fleet in the new scheme in time for its centenary in 2020. New cabin crew uniforms were introduced in 2014 and new pilot uniforms were introduced earlier this month as part of the brand refresh. US cargo operator UPS Airlines has placed an order for 14 Boeing 747-8 Freighters, providing the manufacturer with a much-needed boost. The Kentucky-based carrier has also taken purchase options on 14 additional airframes. UPS Airlines’ currently operates 13 747-400Fs. The newest incarnation of the jumbo provides 16% more revenue cargo volume and reduces the noise footprint around an airport by 30% compared to the carrier’s current 747s according to the manufacturer. The order is a welcome boost for the Seattle-based planemaker, which earlier this year announced it would reduce the production rate to 0.5 aircraft per month (six per year) from September because of weakening demand in the cargo market. X-Aviation has announced the upcoming release of SkyMaxx Pro v4.0, featuring new HD clouds, double the cloud draw distance and even better performance. Clouds can be drawn across an area up to 320km², resulting in a realistic weather system at high altitudes. Other features include a new 3D precipitation system where rain, sleet, wet snow, and dry snow will be formed depending on ambient temperatures. Precipitation is tied to individual cells, and rain will start and stop as you fly underneath or through the clouds. New “HD Cloud Puffs” will enable you to fly through thick overcast layers built from real HD cloud photos, without killing your framerates. Scattered and broken cumulus clouds will have twice the resolution as SkyMaxPro V3, while cirrus and cirrocumulus clouds will move realistically relative to your aircraft’s motion. The integration with Real Weather Connector has also been improved with more accurate representations of ground fog, thunderstorm placement and stratus/overcast cloud placement. SkyMaxx Pro v4 will be a paid upgrade for all current SkyMaxx Pro v3 owners. Those of you who qualify will receive a 50% off ($19.95 instead of $39.95) upgrade discount, which will be valid for 60 days from the time v4 goes on sale. EgyptAir has agreed a deal with Boeing for eight more 737-800s. The first aircraft will be delivered to the Cairo-based airline in February with all eight in situ by December next year. Finance for the acquisition is being provided by Dubai Aerospace Enterprise (DAE). EgyptAir currently operates 20 737-800s. In this special PC Pilot report, Richard Benedikz travelled to the Big Apple to attend Thrustmaster’s 25th anniversary celebration event. Thrustmaster marked its 25th anniversary milestone in New York with an event on board the USS Intrepid Sea, Air and Space Museum, by unveiling its new HOTAS product range: the TFRP T.Flight Rudder Pedals, TWCS Throttle and the updated T.16000M FCS joystick. The company has a rich history having developed joysticks, controllers and steering wheels for PCs since 1991 and has won licensing agreements with major brands including Ferrari, Top Gun, Beretta, Splinter Cell and even the US Air Force. This has enabled Thrustmaster to design and build high-quality HOTAS systems for flight simulation based on the controls of real aircraft, including the General Dynamics F-16 with the HOTAS Cougar and the Fairchild Republic A-10C Thunderbolt II with the HOTAS Warthog. Demonstration stands gave guests the opportunity to try out the new controllers. VR (Virtual Reality) featured high on the list with the Elite Dangerous space simulator running on Oculus Rift. It also demonstrated DCS from Eagle Dynamics with its popular HOTAS Warthog, released in 2010. Another stand showcased the T.Flight HOTAS 4, released in February this year, which was run with War Thunder from Gaijin Entertainment. The controller was produced under official licence for the PlayStation 4 (although it is also PC-compatible). It consists of a wide hand rest and adjustable stick resistance, along with a detachable throttle and a yaw function, which can be controlled using twist on the joystick handle or a tilting lever on the throttle. It also includes a variety of action buttons, a rapid-fire trigger and a HAT switch. In a glass cabinet, Thrustmaster had a line-up of products from the past on display, including the HOTAS Cougar, Millennium 3D, X Fighter, Top Gun Platinum and F22 Pro. A selection of industry experts and enthusiasts were invited to the event to try out the new and existing products. The show began with talks from the President and CEO of Guillemot (which owns the Thrustmaster brand), Claude Guillemot and Development Director, Gilles Raulet. They outlined the company’s 25-year history including the products it had developed such as its first all-metal controller, the HOTAS Cougar. Guillemot said it was an important milestone for the company and had laid the foundation for its successor, the HOTAS Warthog. The merger of Guillemot and Thrustmaster in 1999 was also an important step as both companies had a ‘passion for flight simulation’. They were joined by Frontier Developments’ Chief Operating Officer David Walsh and Clayton Remy from Gaijin Entertainment. Both companies have adopted Thrustmaster controllers as they were ‘ideally suited’ for their respective products. Matthias Techmanski from Eagle Dynamics, the company played an important role in the development of Thrustmaster’s HOTAS Warthog, was also present. The highlight of the event was the unveiling of Thrustmaster’s TFRP Rudder Pedals, which are aimed at the beginner/intermediary end of the market, although they have advanced functions, which will appeal to the more experienced flight simmer. Thrustmaster has developed a new technology dubbed SMART (Sliding Motion Advanced Rail Track), which features four rails made from industrial-grade anodized aluminium. The company says the sliding action of the rails, combined with the long range of travel on the rudder axis, provides precise and smooth control. The TFRP comes with large 10in (25cm) self-centring pedals with differential braking and a removable heel-rest, which enables the feet to be placed in two positions: with the ball of the foot and the heel on the floor and then with the heel-rest in place, the entire foot can be placed on the pedal. The unit features a large base with an inclined design, designed to provide ‘greater comfort and stability’. It comes with dual connectors, a USB interface, which makes it compatible with PCs and joysticks currently on the market. Alternatively, it can be plugged into the T.Flight HOTAS 4 using a proprietary RJ12 interface. The controller has proved to be popular with War Thunder from Gaijin Entertainment. The unit can also be connected to the HOTAS Warthog, T.16000M as well as the MFD Cougar Pack, so that they are recognised as a single USB device. The TFRP Rudder Pedals come with a calibration tool to adjust parameters such as the central dead zone on the yaw axis and the two differential brake axes. These settings are then saved directly to the internal memory of the adapter. The unit is also compatible with Thrustmaster’s proprietary TARGET (Thrustmaster Advanced pRogramming Graphical EdiTor) software suite, enabling users to create and load custom profiles for different simulators. Profiles created by other users can also be downloaded from Thrustmaster’s website. The rudder pedals were launched in May and are now available at a recommended retail price of €99.99 (£79.99 approx). A prototype TWCS Throttle was also showcased at the event. The HOTAS-type throttle quadrant will feature four axes, including a single throttle with adjustable friction, a variety of push buttons, HAT switches, rotary toggles, two-way toggles and a mini stick. It also comes with hand-operated analogue paddles, which can be used for operating the rudder and M6 bolts for fixing the unit in cockpits or flight seats. The TWCS is due to be released in September this year, although no information on price has yet been provided. The final product to be unveiled was the T.160000 FCS, an updated version of Thrustmaster’s original T.160000 joystick. Like its predecessor it comes with HEART (Hall Effect Accurate Technology), which is a magnetic sensor that provides precision levels 256 times greater than most conventional joysticks. Rather than using conventional variable resistors for motion sensing, these magnetic sensors don’t make any physical contact and as a result the movement of the joystick is completely friction-free with spring tension to provide feedback for the flight controls. It features new tactile buttons to provide more defined clicks, an improved and smoother throttle slider and a more ‘ergonomic’ trigger. Like the TWCS Throttle, it also includes M6 bolts for attaching the unit to cockpits or desktops and will be released in September. Thrustmaster hinted that it was planning to release two new products in the future. Although the company didn’t provide specific details, according to the roadmap there are two empty slots on the timeline next to the rudder pedals and the Warthog. Speculation on what they are planning has been rife, with rumours indicating the first could be a more advanced set of rudder pedals and the second a new HOTAS joystick, possibly in the same category as the Warthog. Although Thrustmaster has been actively developing products for racing simulators for the past few years, it has been fairly quiet on the flight sim front since the release of the HOTAS Warthog in 2010. However, the company has re-emerged in force with its new product range. The TFRP T. Flight Rudder Pedals certainly deserve consideration if you are looking for an affordable set of rudder pedals being competitively priced at less than €100 (£79.99 approx). We also have the new HOTAS controllers to look forward to when they are released in September and with ambitious plans for the future it looks like Thrustmaster will be rejuvenating its presence in the flight sim market. JetBlue Airways has made a minority equity investment in JetSuite, helping the private jet operator to accelerate the growth of its JetSuiteX service. JetSuiteX serves Burbank, Las Vegas, San Jose, Carlsbad, Concord, Mammoth and Bozeman with its fleet of 30-seat Embraer 135s. The company says it provides passengers with “a private jet experience that is affordable and accessible to a broad audience”. This includes the ability to check in just 15 minutes before a flight, free Wi-Fi, free checked bags, free seat assignments, free drinks and free snacks. Wilcox was one of the founders of JetBlue Airways when it launched in 2000. Members of JetBlue’s customer loyalty programme, TrueBlue, are already able to earn points on all JetSuiteX flights. The companies are also exploring other ways they can cooperate to benefit their customers. As part of JetBlue’s investment, the airline will be able to nominate someone to be appointed to the JetSuite board of directors. Spirit Airlines became the first US carrier to operate the Airbus A320neo when it took delivery of N901NK (c/n 6833) on October 7. Spirit has 55 A320neo Family aircraft on order, five leased from AerCap and 50 ordered directly from the manufacturer. All of the airline’s neos will be powered by Pratt & Whitney Pure Power PW1100-JM engines. 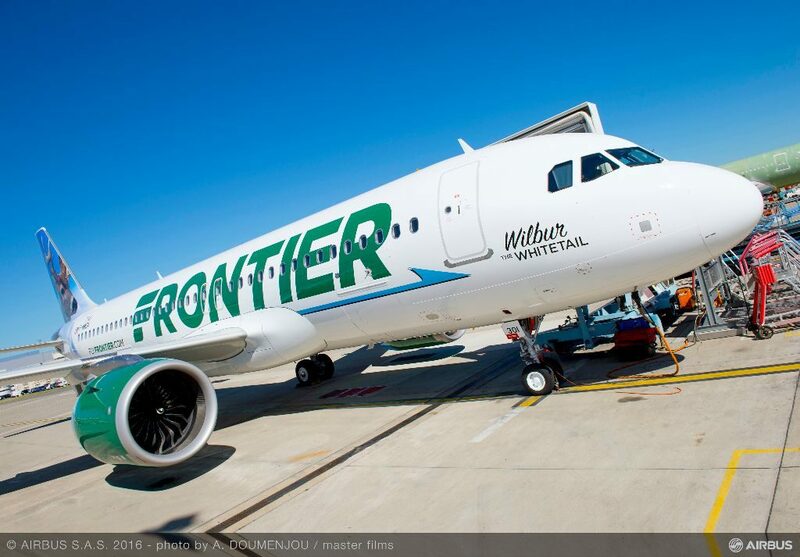 Frontier Airlines has also received its first A320neo. Aerosoft has spent a great deal of time and investment in recreating the A320 family of aircraft for FSX. It has now released its third iteration of Airbus, with a high fidelity rendition of the Airbus A318 and A319 for FSX and Prepar3D. There is so much new detail that these latest aircraft should be considered as whole new simulations in their own right. It is immediately apparent that Aerosoft has pulled out all the stops with the feature set, immediately propelling the package into the highend, high quality arena. Firstly and crucially the A318 and A319 have been modelled to an extremely high standard of systems fidelity. The normal operation of the aircraft has been replicated in precise detail, including a full fly-by-wire simulation. The entire operating procedures of the aircraft are all present and correct, including a fully functional overhead panel and FMGS (Flight Management and Guidance System computer). What have not been modelled are complex failures, allowing the developers to concentrate all of their efforts on normal operations and additional features. This is no loss as most Airbus pilots have never seen a real major failure, such is thereliability of the aircraft! AT THE TIME of going to press, Aerosoft had just released the companion Airbus A320 and Airbus A321 package. The A320 and A321 have an extended fuselage and larger take-off weight, but share essentially the same cockpit and features. The A320 and A321 can be bought separately or in a bundle of four aircraft with the A318 and A319. The Airbus A318 is the smallest member of the Airbus A320 family. It is short, stubby and designed for commuter operations in and out of airfields too small for larger airliners. Its claim to fame is that it is certified to fly in to London City Airport, despite both the steep approach and very small runway. To fly steep approaches into small city airfields, Airbus implemented a ‘steep approach mode’, which includes computer-controlled spoilers throughout the descent on the glideslope. The Aerosoft model features this specialist mode in its entirety and it is certainly fun to fly the Airbus A318 into London City on the ILS with speedbrakes deployed all the way to touchdown! The A319 is a larger aircraft than the A318, but is still smaller than the parent A320 and is used around the world. The external models of both of these aircraft are simply superb, really capturing the essence of the Airbus, down to individual rivets and dirt on the fuselage. There are 17 aircraft in the base pack, including the famed British Airways A318 that operates from London City, along with other key operators such as Lufthansa, American Airlines, EasyJet and Air France. Incredibly, there are also over 150 free liveries to download from the Aerosoft forums, which are installed by simply dragging and dropping the zip file over the included livery manager! The A318 flying a very steep glideslope into London City; hair-raising but tremendous fun in a jet! and performance data! The FMGS is fully compatible with monthly navigational data updates from the Navigraph service and includes a full database complete with SID and STAR, departure and approaches. aircraft is impossible to stall. The onboard computers will simply not allow a dangerous pitch or airspeed. Reduce the thrust levers to idle, even pulling hard on the aircraft nose and the system will command a safe speed and maximum safe pitch! Regardless of aircraft speed, roll rate is fixed and limited to 33 degrees of bank for normal operations, maintaining the chosen bank angle even if the pilot releases the controls. To exceed 33 degrees of bank, to a maximum of 67 degrees the pilot must maintain a constant pressure on the stick. Releasing the pressure will cause the aircraft to revert to the normal maximum 33 degrees of bank. In short, pitch, roll, yaw and speed are completely moderated by onboard computers that will not allow the pilot to stall the aircraft or operate outside normal safety margins. Every pilot control input on the stick and thrust levers are managed and verified by computer systems, with no direct pilot feedback from the control surfaces! It means the Airbus flies like no other airliner, both in the real world and FSX! Were that not enough, interactive checklists are available, complete with a fully voiced First Officer who will work through the checklists with you. ‘He’ can also be optionally configured to operate various switches and controls in the aircraft in response to those checklists. Ambient audio for ATC transmissions and even cabin crew are also included, along with every sound and click of the real aircraft. I was particularly impressed with the quality of the CFM engine sounds and their distinctive whine. The FS2Crew RAAS (Runway Awareness) package has also been included as an integral feature, alerting the crew with audible warnings of entering the runway environment, including a callout of available runway length on touchdown. There are also fully configurable ground services, aircraft and co-pilot setup and a raft of options available from the right hand MCDU, which acts as a configuration manager. That said, I am disappointed that normal functionality of the right MCDU is disabled and that in tandem with that, both side navigation displays are mirrored rather than independent. I like to have the co-pilot displays available for additional approach data, which is not possible when they are mirrored. That minor niggle aside, this is still the most exhaustively detailed and realistic Airbus ever created for FSX. This includes the notoriously complex autoflight systems, which come with both ‘open’ and ‘managed’ modes of the autopilot and the fly-by-wire protections. It has to be remembered that the complexity of the real Airbus is staggering (there are over 170 computers aboard), so to recreate the day-to-day operations of this aircraft in FSX on a desktop computer is an equally staggering feat. It is all there, in a near perfect recreation. If you fly for a virtual airline you will be familiar with the concept of checkrides, where your flights are graded by training staff at your VA. To facilitate that, a flight data recorder has been included with the package that tracks all of your flight data and aircraft performance. This can be exported and sent to your virtual airline for flight evaluation and can also be read in the FS Flight Keeper package from Aerosoft. It works rather like the black box /ACARS log in real aircraft and monitors the aircraft throughout the flight, including flaps and gear deployment, speed and heading changes, engine power etc. It is sure to delight the many virtual airlines who fly the ever popular Airbus. manager, offering a wide array of features including ground services. Aerosoft’s Airbus A318 and A319 package is simply incredible. This is the high fidelity Airbus simulation that we have been waiting for, in a near perfect replica of the real aircraft (and Aerosoft tells me it will continue to tweak and update!). Couple this with the wealth of additional content, including weather and terrain radars, RAAS, iPad support, flight data recorder, fuel planner and other features it is hard not to be hugely impressed with such an outstanding achievement. (£24 approx) for previous purchasers of Airbus X Extended. FSX (SP2 and/or Acceleration or Gold edition or Prepar3D); PC 3.0GHz; 2GB RAM; 512MB graphics card; Windows Vista, Windows 7 or Windows 8; 2.5GB hard drive space. FSX (SP2 and/or Acceleration or Gold edition or Prepar3D); PC 3.0GHz multi-core; 4GB RAM; 2GB graphics card; Windows Vista, Windows 7 or Windows 8; 2.5GB hard drive space; joystick with throttle and rudder.